What Happens if there is Bad Weather during Surf Lessons or Surf Camp ? 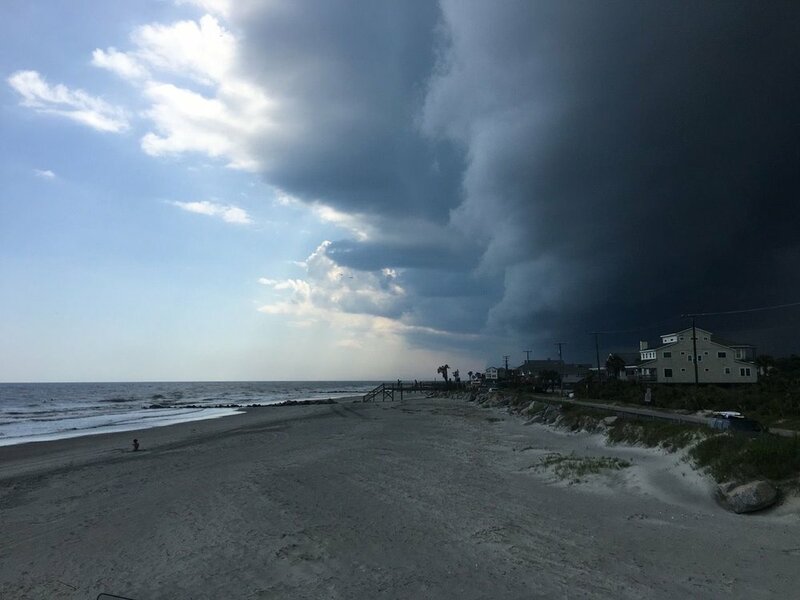 Let's face it, the weather in Charleston in the summer can be unpredictable. One minute it is bright and sunny, without a cloud in the sky, the next it's down pouring. While everyone would love to control the weather, we simply cannot. However, when dangerous weather conditions strike, we take it seriously and will ensure you or your child is not in danger. -August; average high 87 degrees, average low 76 degrees, average rainfall 6.7 inches, average daylight 13.5 hours. So What Do We do in the Event of Bad Weather? Bad weather and dangerous surf conditions happen. There is nothing we can do about it, but we never push the limits when it comes to safety. If there is any lightening in the area all summer campers and clients are taken out of the water immediately and taken under a structure. We wait at least 30 minutes after we see the last strike of lightening or hear the last roll of thunder before we enter the water. The surf can and will get dangerous at Folly Beach, as the South Carolina coast is venerably known for its undertow. It depends on your availability, but in general we will cancel or reschedule to a more suitable and safer day in the event of extremely rough waters. If the waves are big or dangerous during camp we will focus on other activities. Beach games, ocean education, field trips around Folly, and beach clean-ups are just some of the activities your children can partake in outside of surfing. Even with the biggest surf conditions we will still be able to get in the water; however, we may have to go in smaller groups or even one-on-one and will only go a short and safe distance off the beach to catch white water. No matter the day, we always make the most of it.